Approximately 500 million people in India’s countryside still have no access to electricity. The government’s ambitious plan to electrify the entire nation by 2012 is based, in large part, on providing rural homes (particularly some 25,000 of the remotest villages) with decentralized renewable energy systems. Solar modules for an Solar Home Lighting System would range between 20-50 Wp. They are mounted on a rooftop or atop a pole. The technology of this could be either crystalline or thin-film technology12 (also called amorphous). An electro-chemical storage battery is used to store the electricity converted by the solar module. During the day, electricity from the module charges the storage battery. During the evening, the battery is discharged to power the lights and other applications. Batteries are typically the 12-volt lead-acid batteries, ranging in capacity from 5-75 Amp-Hours (Ah). Batteries are typically sized to provide several days of electricity or ‘autonomy’, in the event of overcast weather preventing recharging. A charge controller is utilized to control the flow of electricity between the module, the battery and the loads. It prevents battery damage by ensuring that the battery is operating within its normal charge levels. If the charge level in the battery falls below a certain level, a ‘low voltage disconnect’ (LVD) will cut the current to the loads, to prevent further discharge. Likewise, it will also cut the current from the module in case of overcharging. Of course, some systems do not have this facility. Those which do not have the automatic charge controller would use indicator lights on the controller to display the relative state of charge of the battery. This is seen in most of the models available in the market. This device is important as once overused, it takes a long time for the battery to get charged. In rural areas, where literacy levels are relatively lower, the presence of this device built into the system help prevent overuse of the battery, thereby increasing the life of the system. Compact fluorescent light bulbs, fluorescent tube (off late) are used for lighting. A Solar Home Lighting System normally would have anything between two-light systems to a four-light system. A 9 watt CFL provides illumination equivalent to a 60 watt incandescent bulb. These compact fluorescent lights have a 5-year lifetime. A Solar Home Lighting System will also have additional materials for mounting and connections. Metal frames are included to attach the PV Modules to a pole or roof. The SHS components are connected by wires and contain switches for the lights. In some cases, wiring is housed inside conduits attached to interior walls. Headway Solar is a Solar Energy company based in India. It provides a complete range of solar products and offer customized solar solutions. It is pioneering Solar Energy Solutions in India and provide a complete range of Solar Energy Products and customized solar solutions for enterprises, institutions and personal use. Solar Home Lighting Systems launched by Headway Solar are different from any similar products available in the market. The products have been designed using software simulation and are based completely on Plug-and-Use model. They do not require an expert to install or repair. All the wiring and equipment provided are pre-fitted with interlocking sockets and optimum wire lengths to make the installation and use as simple as it can get. Headway Solar is looking to set up a distribution network for its range of Solar Home Lighting Products. Distributors with strong rural market in their respective districts can contact Headway Solar to establish a business relation that can bring light to the masses of India. The solar panels at Jantar Mantar and Safdarjung’s Tomb have helped slash the electricity bill of these Centrally protected monuments almost by half. The Archaeological Survey of India (ASI) is now thinking of expanding the initiative and installing solar panels at 11 other heritage sites in the Capital. The panels at these two heritage sites were installed around six months ago, following an initiative of the ASI and the Ministry of New and Renewable Energy (MNRE). 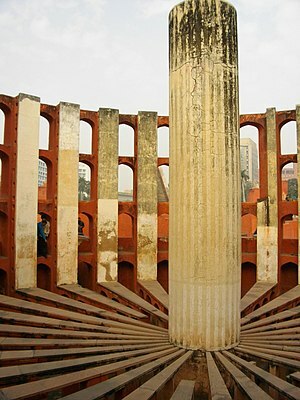 The power bill for Jantar Mantar has seen a dip of Rs 5,000 per month — from monthly Rs 15,000 to Rs 10,000. At Safdarjung’s Tomb, where ASI also has an office, the bill was reduced from Rs 34,000 to Rs 25,000 per month. The daytime load at all heritage sites includes indoor lighting and fans, ventilation, solar photovoltaic pumps for irrigation, information kiosks and supply at the ticketing counters. The night load includes LED-based flood lights, garden and outdoor lights. Solar powered gadgets are everywhere now, and the ways solar power is incorporated into gizmos is fun to follow. Oh sure we’ve seen the double-take items like solar bras, and the cooler devices like cell phones. But so many are just down right strange. We’ve gathered up a handful of the odder solar powered devices that have made their way on to the scene. Click through to check them out. Starting with the silly, here is a desktop gadget that it meant entirely to entertain. The little head and body bobble back and forth, thanks to the tiny solar panel on the base. The point? Perhaps it’s just the very last life line to cling to if you’re dying of boredom. This one is certainly strange, though actually serves a purpose. You can build your own bonsai tree with branches sporting various solar panels. The panels charge up a battery that you can connect your gadgets to. The battery, gadgets, and wires can all be stored inside the base, er, pot. It will lend a very sci-fi look to any home, and if you get bored with the look, just rearrange the branches. It’s one house plant you’ll have a hard time killing, but works just as hard converting sunlight to energy as its greener neighbors. This…is a spider. We know it’s so because that’s what the company says it is…and that’s about the only way we’d guess it to be a spider. It does kind of resemble those little jumping spiders that hop on you when you’re laying in the grass at a picnic. Kind of. At any rate, it’s a 21-piece DIY kit that you, or anyone over the age of 8, can put together. If you’re itching to have it, most of the solar powered plasticrap stores sell it. What solar toy collection is complete without a solar powered rope-climbing monkey?! There’s nothing quite like slapping a solar cell on a piece of plasticrap and calling it educational. This little guy is intended to help kids “appreciate the power of alternative energy.” More likely, they’ll put it together, watch it climb the rope a few times and then it’ll end up at the bottom of the toy chest. If a parent really wants to make a toy educational, they’d grab one that is already at the bottom of the toy chest and teach their kids a cool hack, powering it with solar cells ripped off of the neighbor kid’s solar powered toy monkey that got used twice and tossed aside. This is the Odysseus from Aurora. It is basically a low-flying satellite. It can fly in sustained uninterrupted flight for over five years, hanging around altitudes between 60,000-90,000 feet. And, it’s solar powered. It’s a concept device created by Aurora for military use, intended for surveillance and reconnaissance, communications relay and environmental monitoring. Useful, but still definitely a stranger bit of flying solar powered technology than we’re used to. It’s not too often you think about your tire gauge. Tire pressure, yes; tire gauge, no. Especially the power source for your gauge. In fact, it’s easy to find one that doesn’t require a power source at all. But if you’re concerned that you have to have a digital tire gauge and it has to be reliably powered, well by golly there’s a solar powered one out there for you. So if you’re out in the middle of nowhere and you just have to check your tire pressure, have no fear…the solar cells on your trusty tire gauge won’t let you down. If you’re looking for a way to line your walkway other than using solar luminaries, this could be a solution. But it looks a little too similar to a radioactive waste bin. We haven’t seen a yard-bound solar gadget light up quite like this, and in fact, one version will glow in an array of colors. The solar cell is on a spike that you set elsewhere, and a wire runs back to the battery in the pot. The makers say you can get as much as 8 hours of glow time in the summer, and as much as 4 in the winter. If you don’t want to return to a hot stuffy car, you could try out this solar powered ventilator. Somehow, with the window closed, it manages to clip on to your window and circulate fresh air into the car. Riiight. We’re guessing it actually just clips to your car window and whirrs away, pushing air around the car…nothing special, especially since the price tag is a relatively cheap $38. You might be better off sparing the plastic and just opening you car door and fanning your arms over the driver’s seat a few times before hopping in. If you want to look strange while walking around with a strange solar gadget, stick this one on the brim of your hat and consider yourself a success. The hefty-looking solar powered fan clips on to your visor and blows air directly into your face. Makes sense for a really hot day, but it might be a little less dorky to use a hand-held solar powered fan. Or, how about just…a fan. This little “Bugbut” named Nigel takes the cake for strange. Basically it’s a bunch of gadget pieces duct tapped together and powered by a solar cell. It climbs slowly around your desk, creeping out anyone who passes by. You can get one from Jenny, a.k.a. Tinyminds at Etsy. Definitely. Strange. Just keep it and the solar bug zapper a good distance apart. This unusual cap uses the sun’s scorching heat to keep you cool. Improvising on a Chinese design, Pune-based entrepreneur Vivek Bhatia has successfully manufactured a solar energy-powered mini fan, which actually provides comfort on a hot day. The fan with plastic blades is fitted on the cap’s bill. A miniature solar panel, fixed on the crown, generates a five-volt supply to power the fan as soon as one steps out into the sun. Bhatia who created the fan this April said that although similar solar fan caps are made by some Chinese manufacturers, his device has a solar panel that covers a larger area and thus generates more power for a better fan. “The blades are made of plastic and are completely safe for the person wearing it. We have added a tiny switch that can be used to turn the fan on or off,” he said. A materials manager with various firms for nearly three decades, the fact that Bhatia has sold nearly 1,000 of his ‘Solar fan caps’ at Rs400 each suggests that it’s more than a novelty. According to the innovator, the fan generates enough air to keep one’s face and forehead cool when out in the sun. “Since there is no question of batteries, the fan doesn’t need any charging. The cap is functional even on partly cloudy days. We’ve been receiving a lot of orders from humid cities like Kolkata where we’ve created an entire customer base out of word-of-mouth publicity,” he said. Bhatia first got into product development with ‘No Nap’, an anti-drowsiness device meant to prevent accidents caused by sleepy drivers. His fledgling firm Fuel Saver India, based in Sanewadi in Aundh, is dedicated to creating gadgets that run on renewable energy, mainly solar energy. He is assisted by his wife in packaging, dispatching and following up orders. At the end of last year, the global photovoltaic market hit a cumulative installed capacity of 40 GW, of which 16.6 GW was added during 2010. A year of unprecedented growth saw new capacity more than double from 7.2 GW in 2009. Worldwide, solar PV already produces some 50 TWh each year. By 2015, though, capacity could climb to range from 131 GW to 196 GW. These figures come from the European Photovoltaic Industry Association (EPIA), which recently presented its Global Market Outlook for Photovoltaics until 2015. The trade group linked last year’s surge to soaring German and Italian markets. Germany continued to lead the PV market worldwide, with 7.4 GW installed over the year, while Italy added a substantial 2.3 GW. Other countries with significant growth included the Czech Republic, which saw a 1.5 GW expansion in 2010, a rise unlikely to be sustained in 2011. Japan gained 990 MW, the United States 900 MW, and France 700 MW. Spain regained some ground by installing 370 MW after two years of strongly adverse conditions. Belgium connected more than 420 MW of PV. In terms of global installed capacity, the EU leads with almost 30 GW installed as of 2010 — about 75% of global PV capacity, up from 70% in 2009. Japan (3.6 GW) and the USA (2.5 GW) are some way behind, while China has already entered the Top 10 of the world’s PV markets and should reach its first GW this year. Across Europe, installations last year totalled 13.3 GW, outstripping 9.3 GW for wind to lead all renewable generation technologies in added capacity. In its expansion PV was second only to gas power plants, for which new capacity reached between 15.7 GW and 28 GW, depending on the source. EPIA, in fact, links global investment in gas — rather than nuclear and coal — with the growth in variable renewable generation sources such as PV and wind. At its current pace of expansion, Europe could increase the percentage of its electricity generated from PV by one percentage point every two years, says EPIA. The continent’s annual increase in capacity has grown from less than 1 GW in 2003 to over 13 GW last year. Despite difficult financial and economic circumstances, 2010 was expected to show a major acceleration. But a 130% Compound Annual Growth Rate (CAGR) exceeded all expectations and almost matched the 145% from 2007 to 2008. Driven by local and global energy demand, the fastest PV growth is expected to continue in China and India, followed by Southeast Asia, Latin America and the MENA countries. The PV potential of the sunbelt countries could range from 60 GW to 250 GW by 2020, and from 260 GW to 1100 GW in 2030, representing 27% to 58% of the forecast global installed PV capacity by then. Currently, though, among countries outside Europe only Japan and the USA have more than 1 GW of installed PV capacity. China could reach that threshold quickly but medium-sized markets will need several years to reach the same level of development. A global analysis reveals three leading zones that are developing PV in contrasting ways. The Asia-Pacific (APEC) region, reflecting its wealth and economic growth, is the second-placed region behind Europe. In addition to Japan and China, the APEC region covers: South Korea, where the market has slipped since 2008; Australia, with more than 300 MW installed in one year; Taiwan; and Thailand, where more than 2.5 GW may be installed in coming years. North America is the third region, with Canada developing steadily alongside the US to form a huge market with tremendous potential for growth. Outside these three regions, the MENA (Middle East and North Africa) region represents an untapped opportunity for the medium term. PV also shows great potential in South America and Africa, where electricity demand is expected to rise fast. While growth in the EU in coming years could be low, or even negative, non-EU countries should more than pick up the slack from 2011 and 2012 onwards, ensuring continuous global PV market growth until 2015 and beyond. In 2011, though, a market stagnation or even a small dip is not impossible. The speed of political decisions over 2010 and the start of 2011 acts as a reminder that PV will be incentive driven until competitiveness is reached in all of a country’s market segments. Yet EPIA believes market developments could raise global installed capacity in 2015 to between 131 GW and 196 GW, with 100 GW hit as soon as 2013. A rapid global rebalancing could also be imminent, with the EU accounting for less than 40% of the world market by 2015 in the EPIA’s ‘Moderate’ scenario and about 45% in its ‘Policy-Driven’ scenario. While 2010 showed no sign of such a change, the rest of the world, and especially Asia, could prove a fertile market, even if the EU is likely to stay ahead in installed capacity over the next decade. Production, which was once balanced between the EU and the rest of the world, is already growing faster in Asia, and particularly China. Modules are still mainly shipped to the EU, reflecting the smaller size of Asia’s market, although about half of the value of a PV system is currently created further downstream and closer to the consumers. Anticipated growth in markets outside the EU would tend to reduce the mismatch between supply and demand. A current overcapacity should also further reduce module prices over coming years and thereby trigger more demand. The disparity in installations between the EU and the rest of the world should decrease over the next five years. On the supply side, a rise in the relative share of transport in the cost of PV modules as module prices decrease should address the imbalance and encourage production closer to the end market. A continuing slide in PV module prices will also further erode the share of modules in the overall value of a PV system. Unquestionably, global PV production capacity in 2010 considerably outstripped demand. Even so, several manufacturers announced plans to accelerate their capacity expansion. This apparent contradiction extends from module manufacturers further upstream in the PV value chain. EPIA estimates that global production capacity for silicon could reach 370,000 tonnes next year, up from about 350,000 tonnes in 2010. Huge expansions have taken place since the 2005 and 2008 shortages, and many only came on-line last year. Various small Chinese players are being forced to shut down production while the largest established companies are announcing capacity increases of as much as 40,000 to 60,000 tonnes by 2012. For wafers, global production capacity totalled 30-35 GW in 2010, of which more than 55% was in China. Germany accounts for more than 10% of global capacity, followed by Japan, Taiwan, Norway and the US. Crystalline-silicon (c-Si) cell and module capacity is now mainly based in Asia. EPIA estimated global c-Si cell production at 27-28 GW in 2010. Almost half this capacity was in China, while Taiwan produced more than 15%, the EU more than 10%, Japan slightly less than 10%, and the US less than 5%. Module production capacities for c-Si were estimated slightly higher at 30-32 GW. Global production of thin-film modules reached 3.5 GW in 2010. This is likely to increase to more than 5 GW in 2011 and might reach 6-8.5 GW in 2012. Three main factors have driven PV’s spectacular recent growth. Firstly, renewable energy is no longer a curiosity; PV has proven itself to be a viable energy source in all regions of the world. Secondly, price falls have brought PV close to grid parity in several countries, encouraging new investors. Finally, policymakers in key countries have introduced FiTs and other incentives that have helped develop markets, cut prices and raise investors’ awareness. Over the last decade, global installed capacity has multiplied by 27, from 1.5 GW in 2000 to 39.5 GW in 2010 – an annual growth rate of 40%. Furthermore, that growth has proved to be sustainable, allowing the industry to develop at a stable rate. The EU, having overtaken Japan, is now the clear leader in both market and installed capacity, thanks largely to German initiatives, which have also fed global expansion. In the rest of the world, the leading countries continue to be those that started installing PV even before the EU. The market is expanding every year. In sunbelt countries, falling prices are bringing PV closer to grid parity and helping spread awareness of its potential. But the financial crisis and competition from other energy sources put pressure on policymakers to streamline incentives. ‘The currently installed global PV capacity produces power equivalent to the entire electricity consumption of countries like Greece, Romania or Switzerland,’ said Ingmar Wilhelm, EPIA’s president. What if your neck and back muscles got a massage while you worked on your PC? Or your office used daylight to power tube lights without using solar panels? All these products and more designed by students of National Institute of Fashion Technology were presented at ‘Technova 11’, a platform where outgoing NIFT students present their graduation projects. “IT professionals suffer from repetitive strain injury, a disease that causes acute pain and sometimes numbness in their neck and back muscles. Our battery-powered jacket provides a massage to these areas,” say Ankesh Dev and Dinesh Kumar who have designed this product prototype, which may soon go commercial after they complete its tests. Other innovations like automated machines to reduce labour costs, designed by students Satendra Burnwal and Surabhi Taneja, are already in use by quite a few readymade garments (RMG) firms. Another product designed for the RMG industry, an ergonomic chair by Siddharth Singh Negi and Sharad Agarwal, is also likely to be a blessing in disguise for sewing operators of the industry. “Currently, these operators make use of stools with no backrest or provision to adjust height. Our product can be adjusted with respect to the height of a person, when seated, in the range of 33-43 cms. Dow Corning Corp., which is into silicones, silicon-based technology and innovation, has named Global Wedge as a distributor of silicon-based solutions for the manufacturing of solar photovoltaic modules in India. Global Wedge, a distributor of photovoltaic (PV) raw materials, solar modules and panels, and a developer of solar power projects since 2001, will supply high-quality silicone solutions to Dow Corning’s customers in India. Located in Hyderabad, India, Global Wedge has an excellent reputation as a PV materials supplier and an extensive customer base in India. * Plans for a $13 million Solar Energy Exploration & Development Center (SEED) in Seneffe, Belgium. NEW DELHI, INDIA: Delhiites would now be able to sell power directly with the Delhi government about to launch a roof top solar energy policy. 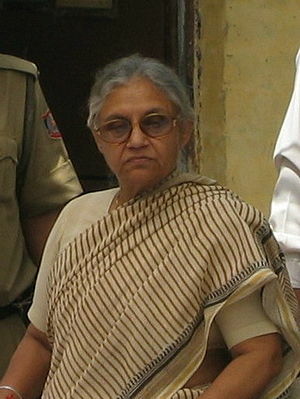 Chief Minister Sheila Dikshit Thursday said the policy will be launched in the capital soon to encourage people to switch to the renewable energy source. “We are soon starting rooftop solar policy for setting up solar power units on rooftops of households in the capital, where the owners of buildings will get incentives and it will be connected to the main grid,” Dikshit said here at a seminar. According to the policy, house owners can either lease out their roof to a developer, who will then set up the unit, or they can pay 30 percent of the cost of installation. The remaining 70 percent will be financed through banks. House owners will get to earn Rs.17 per unit of power produced through the solar panels, which will be directly fed into a grid. They can sell the power for 25 years. The government is working out modalities of the scheme’s benefits. The discoms may even deduct the amount the house owner earns through the solar unit from the electricity bill. The launch of the Jawaharlal Nehru National Solar Mission (JNNSM) has triggered a demand in the market for solar photovoltaic (PV) projects and products. With this, the need for solar modules has increased, driving up demand for solar cells. However, delivering low cost solar energy is the biggest challenge faced by the manufacturers. Currently, a factor that influences the cost in a big way is efficiency. Thus, the right technological choice is critical in order to ensure good financial returns, while maintaining the quality and the long life of the product. A solar cell, also called a photovoltaic cell, is used to convert solar energy into electrical energy. Solar cells are the basic elements of a solar module or panel. These cells are made of silicon, a common semiconductor. A typical modern solar cell measures 15 cm × 15 cm. It is covered by a clear anti-reflection coating (ARC) that reduces the amount of light lost to reflection at the cell surface. There are three main types of solar cells, which are distinguished by the type of crystal used in them. They are monocrystalline, polycrystalline, and amorphous. To produce a monocrystalline silicon cell, absolutely pure semiconducting material is necessary. Monocrystalline ingots are manufactured through C2 method from polycrystalline granules or chunks. Monocrystalline wafers and slices are extracted from these ingots. With this method, quality of silicon further improves, and cell manufactured from these wafers have higher efficiency. 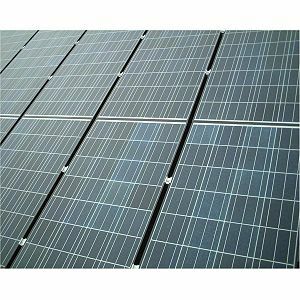 Production of polycrystalline cells is more cost efficient. In this process, ingots are developed with directional solidification system furnaces. These ingots are sliced into multicrystalline wafers. During the solidification of the material, crystal structures with different direction are formed. As a result, the solar cell is less efficient. If a silicon film is deposited on glass or another substrate material, the result is a so called amorphous or thin layer cell. The layer thickness amounts to less than 1µm—for comparison, the thickness of a human hair is 50-100 µm. The production costs of this type of solar cell are lower because of the lower material costs. However, the efficiency of amorphous cells is the lowest when compared to the other two types of solar cells. In order to provide suitable voltages and outputs for different applications, solar cells are connected together to form larger units. Cells connected in series have a higher voltage, while those connected in parallel produce more current. The interconnected solar cells are usually embedded in transparent ethylene vinyl acetate (EVA), fitted with an aluminium or stainless steel frame, and covered with transparent glass on the front and with tedlar on the backside to make a solar module. Crystalline silicon cell: About 80 per cent of the manufacturers in the world use crystalline silicon (C-Si) cell based technology. “The current installed capacity of solar cells based on this technology stands at 600 MW and that of modules ranges between 900 MW to 1 GW in India,” informs Dr VK Kaul, general manager, Solar Photovoltaic Group, Central Electronics Ltd (CEL). CEL is among the pioneers in solar technology, and manufacturing crystalline silicon cells. C-Si technology has been time tested and thus manufacturers rely on it a lot more. “One of the scoring factors for C-Si cells is its high efficiency. Two decades back, crystalline silicon cell efficiency was 8-10 per cent. Today, we are getting 16-17 per cent efficiency,” says Sunil Goel, vice president, Maharishi Solar Technology Pvt Ltd.
Monocrystalline cell: Websol Energy Systems Ltd manufactures monocrystalline (mono Si) cells, and has recently introduced two solar modules—W2300 and W2800. “Both the modules are made with 156 mm x 156 mm mono Si cells. A W2300 module is a configuration of 60 cells connected in series and giving an output of 235/240/245Wp with module efficiency of more than 14.3 per cent. A W2800 module uses 72 cells in a 9cm x 8cm configuration to give an output of 280/285/290Wp with a module efficiency of 14.5 per cent,” explains S Vasanthi, director, technical and marketing, Websol Energy Systems Ltd.
Bharat Heavy Electricals Ltd, Bharat Electronics Ltd, Euro Multivision, Jupiter Electronics, Maharishi Solar Technology Pvt Ltd, Tata BP Solar India Ltd, Indosolar Ltd and Websol Energy Systems Ltd are some of the major players that have a strong foothold in this field of technology. Amorphous silicon cell: Due to the inflated price of solar silicon, the PV industry introduced a cost efficient technology—the amorphous silicon (a-Si) cells or thin film technology, which was a big breakthrough in the industry. Its biggest advantage is that it uses a much smaller quantity of silicon than C-Si, which is expensive. There are three main thin film technologies to date—copper indium gallium selenide (CIGS), cadmium telluride (CdTe) and amorphous silicon. The disadvantage of thin film technology is its lower efficiency compared to C-Si but there are solutions to overcome this limitation. Thus, low cost and high efficient thin film is not far from becoming a reality. Another concern about this technology has been regarding its high tendency to break. But today, the technology has been developed to have a non-breakable flexible material as the substrate. This technology performs better in low light and works well in both diffused and direct sunlight, which has a definite cost reduction potential. The market for thin film PV is huge in countries like Germany and USA. In India, the deployment of this technology has not yet picked up, though the potential seems high. Some of the major players in this field are Moser Baer Solar Ltd, Hind High Vacuum Company Pvt Ltd (HHV) and Shurjo Energy Pvt Ltd. Thin film technology has some advantages over crystalline silicon as it requires less silicon (it has a thin layer with a thickness of few micrometers), whereas the silicon thickness in multi-crystalline and mono-crystalline solar cells is thicker than 200 micrometers. Another advantage is that it produces panels that show a much lower temperature coefficient than crystalline modules, which results in a higher yield in the field. In hot countries, this advantage results in a 5 to 10 per cent higher output per installed watt compared to crystalline silicon. Currently, cost reduction is the main focus of the PV industry and thin film technology emerges as the right choice for the industry. “Data shows that the thin film solar modules in India are generating 5-8 per cent more energy than their installed capacity,” informs Vivek Chaturvedi, global head, sales and marketing, Moser Baer Solar Ltd. The company’s total installed capacity of 90 MW of C-Si cells, 100 MW C-Si modules and 50 MW of thin film panels has resulted in it taking a lead in the industry. Bengaluru based Hind High Vacuum Company Pvt Ltd, with its turnkey production lines, has opened up a new chapter in large scale manufacturing that is based on amorphous silicon technology. With modifications and improvements in a-Si micromorph technology, the company claims to derive an efficiency between 10 per cent to 12.5 per cent. Kolkata based Shurjo Energy Pvt Ltd is also in the business of CIGS thin film technology. In case of this technology, silicon is not used as the active PV semiconductor and, therefore, production is not hampered by any raw material supply problem. In addition, using only minute quantities of active material means the energy payback is far superior to conventional crystalline products. Studies show that CIGS material actually yields more energy per KW installed, compared to traditional crystalline products, due to its better performance in low light conditions. The latest breakthrough in cell technology is the introduction of dye or organic cells. An organic solar cell is flexible, lightweight and affordable (it is about 1/3 cheaper than an inorganic solar cell). The main drawback of organic cells is their lower efficiency in converting sunlight into electricity, when compared to conventional solar cells. In general, organic cells have around a 1-3 per cent efficiency rate, while silicon based solar cells have an energy efficiency of about 15-20 per cent. However, the advantages of this technology over conventional solar cells are its low impact on the environment and easy manufacturing process. Also, because these cells can be attached to flexible materials, they can be put on many surfaces. “This technology is at a very nascent stage and it will take some time to replace the current single crystal silicon solar energy solutions. Rather, they are seen as an opportunity in their own niche market. As time progresses and the focus of the research concerning these cells broadens, the dye/ organic solar cell might just become a contender in the current solar panel market,” opines Dr Kaul. A buyer faces the dilemma of keeping up with the pace of changes in the solar power industry. The most obvious criterion for buyers is the choice of technology—its viability, track record, future prospects and the total cost of the project in relation to the revenue generated. This is the most critical aspect as the success of the whole project depends on the option the buyer chooses. While both crystalline silicon and thin film have their own benefits and shortcomings, it is the end usage of the technology that will decide the success of a particular project. “The most important criterion is not the upfront cost, but the lifetime cost compared to the product’s value over its entire life time. So a buyer should basically evaluate the end use of the technology. For a grid market, a high efficiency module is required. The total profitability of the project depends on the energy generated and evacuated to the grid,” says Sunil Goel. Thin film has not yet been proven in India as the technology has not yet been deployed on a large scale. Since its fairly recent entry into the industry in 2002-03, the time frame seems less for testing a technology with decades-old and tested crystalline silicon technology. However, experts feel this technology is good for reducing grid parity. Apart from the choice of technology, buyers should be aware about the efficiency of cells while making a purchase decision. Efficiency of cells depends on the quality of raw material used. The buyer should always ensure the efficiency aspect, and if possible, should check the performance of solar PV power plants by ensuring the energy generated (kWh). Another factor that comes into the picture is the cost. “Since India is a price sensitive market, the buyer should also look at this aspect. Besides, buyers should also look for warranty periods that ensure quality and efficiency of the cells. Product certification, and environment and safety certification is equally important for a buyer, as in the long run, these play a huge role in the viability of the project,” informs S Vasanthi. Globally, manufacturers are moving towards developing new methods of increasing cell efficiency and reducing the Kerf loss in wafering. US based company Solaicx, a solar cell ingot maker, has developed a manufacturing process for wafers used in solar cells, which it claims results in higher efficiency. It has been designed keeping in mind the special needs of the solar cell industry. Similarly, Japan’s New Energy and Industrial Technology Development Organisation (NEDO) launched a research initiative to develop innovative solar cells. This led to achieving the world’s highest solar cell conversion efficiency of 35.8 per cent. Although India is not in contention in the higher efficiencies race as yet, the efforts made by the domestic manufacturers are commendable. The enegy efficiency achieved today ranges between 16-18 per cent. Websol Energy Systems Ltd claims to have achieved an efficiency of up to 18.2 per cent. “Manufacturers are reducing the thickness of silicon, which reduces the usage of silicon and eventually helps in cost reduction,” says Dr Kaul. Other initiatives to enable high performance solar cells while maintaining or even reducing manufacturing costs include the use of silver solar paste with high solids, and using techniques such as hot melt and double printing. This further helps in increasing the performance of the cells. The hot melt technique reduces the overall capital cost of equipment by eliminating dryers.